There are two grocery stores near me. Each of them is about a block and a half in opposite directions. I tend to go to Monop because the staff is friendlier. I ran out tonight to get snacks, and wanted to make a few observations about the grocery store itself. These things also apply to FranPrix. 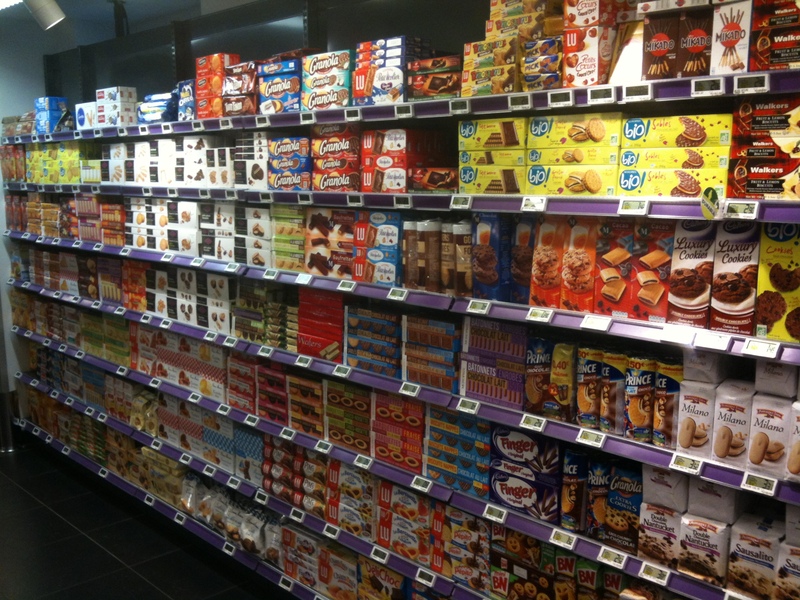 1) The cookie section is huge. Ridiculously huge. Easily the largest section of the store aside from wine. 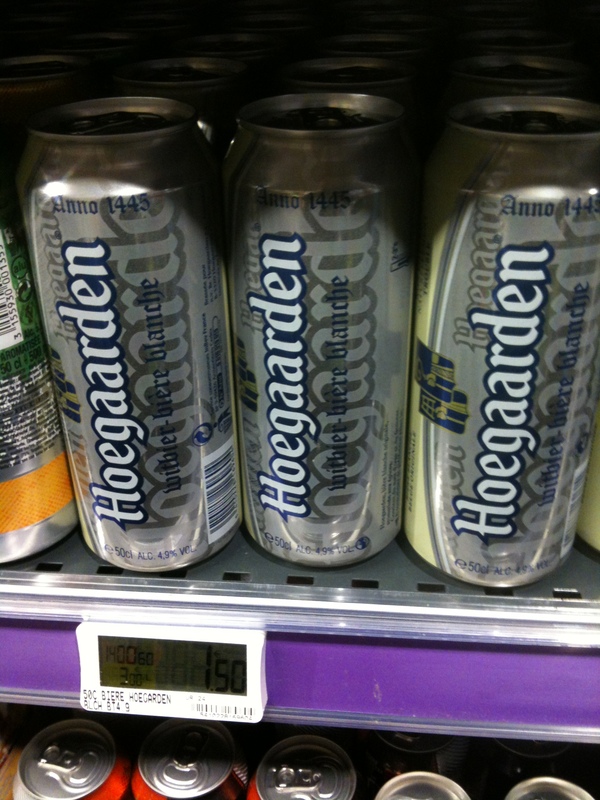 2) Hoegaarden. In a can. I'm not sure if this is awesome, or a crime against beer. 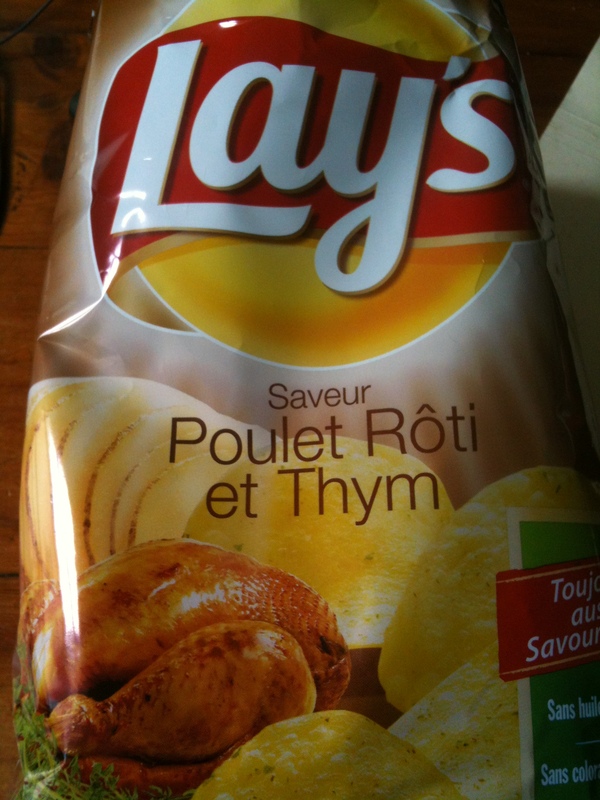 3) Roasted Chicken and Thyme potato chips.